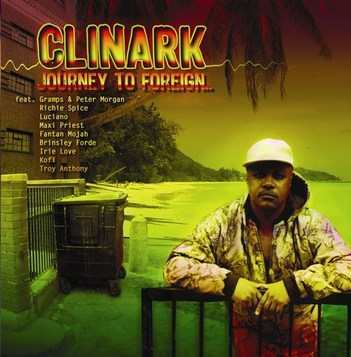 Album: Clinark: ‘Journey to Foreign' UK & Europe Release Date 24th Nov 2008. · Almost 4 Years in the making! Copies are available in shops and from our sister site Riviera Roots Wear.com in the UK, ErnieB's in USA www.ebreggae.com or www.cdbaby.com/cd/clinark2. It is also available on digital download on various sites including iTunes, Napster, Amazon, Emusic and many more. The main distributor in Europe is www.cousinsrecords.com. Promo copies of the album are available for review on request. Music Video with Clinark, Gramps Morgan & Peter Heritage 'Life in the Ghetto' to be released on 24th October. (Filmed on location in UK -Walthamstow, Stingray Studios, Perivale & Edmonton, and London). Music Video with Clinark & Irie Love for 'It's True' song on the album. (Filmed on location in UK & Bermuda )Release Date: December 2008. 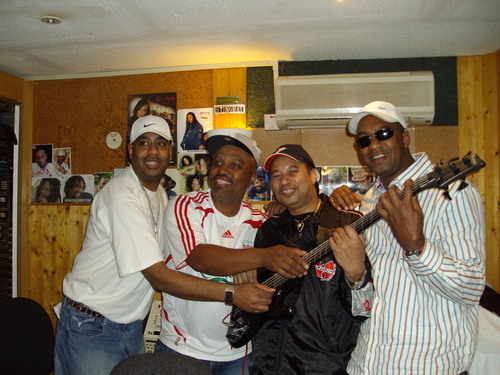 'Journey to Foreign 'Release Party took place in Bermuda on Sat 4th October at Snorkel Park. Notes to Editors: Gramps Morgan & Peter Heritage are involved in the project under their own management Gideon Music & Dada Son Labels and not as Morgan Heritage. They continue to work with Morgan Heritage as a group. Dada Son Label manages Irie Love. All Tracks Composed Arranged By Clinark Except For ‘Glorify’ & 'Angel Eyes'.